I am selling this superb Roy Cottingham frame & fork. 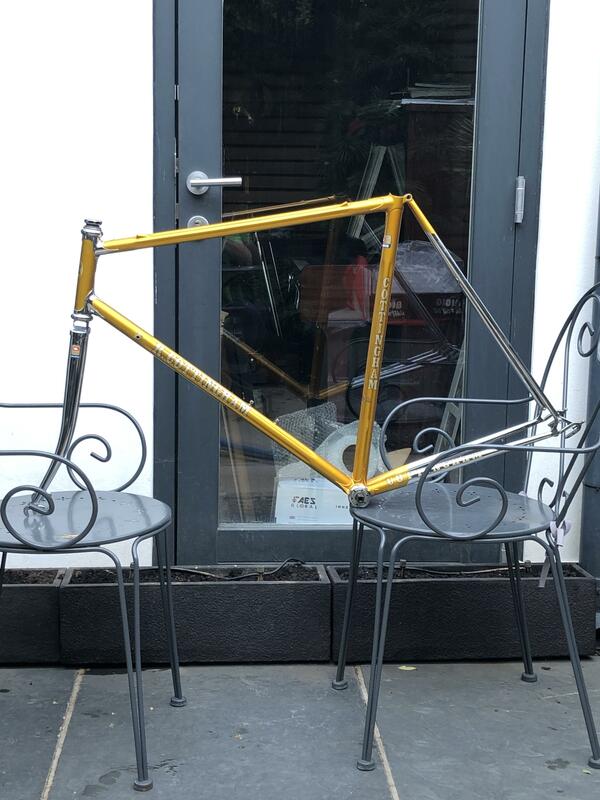 Headset & Bottom Bracket included. What a beauty. Is this still available? It is still available, but I have x3 Dibsers. Thanks for the reply. If 3 x dibsers don't appear then let me know :) Roy Cottingham was a close family friend to my stepmother. I have a junior race frame that Roy built with his son and also a 1965 Ian C. Reid build. Ian was Roy's early business partner. Ok, that's enough about me....can is ask how you come across this frame? I have had this frame for quite a long time. Sorry but I can't remember how I came across it - I would guess e-Bay. I also have a beautiful Cottingham Time Trial bike. Bought it from someone out in Surrey years ago. It's currently in storage, but if I can find a 'photo I will post it, FYI. Hi there. Thanks for your reply. I've been thinking about starting a register for Roy Cottingham frames so if you have any frame nos. that would be good to have. Do you have a bike collection you'd be willing to show? 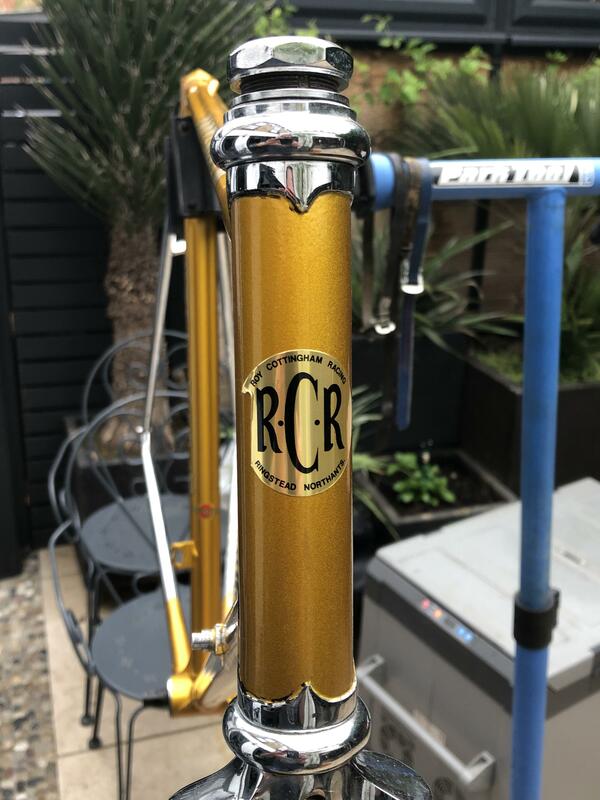 I'm based in Perth, Australia but will be working in London in May and June and would love to join in with the London vintage bike scene and meet some other collectors. I'm happy to share frame numbers, and I guess I have a reasonably large collection of bikes and frames. Happy to show them to you as and when you are in London. PM me.